There was nothing more perplexing and confusing than watching the unfolding events of the Lebanese civil war. It was ruthless, ugly, and dirty, and it taught me as well as many Arabs the harsh reality that had been hidden under the veneer of elegance and glamour of Lebanon. Although the civil war was essentially a Christian versus Muslim conflict, the Lebanese Muslim religious identity politics of the ’70s and ’80s was different than what we are familiar with today. There were no religious slogans, no Takbeer, no black flags, and even no beards, with one exception: the Shiite group Hezbollah and its leader Hassan Nasrallah, the man who introduced Lebanese political Islam to the wider Arab world. For a long period, Nasrallah succeeded in transitioning his party from a small Shiite group to the most dominant party on the Lebanese messy political scene. He also attracted a bigger Arab crowd to support his resistance against Israel. No more − the bearded man, with “God is Great” written on his flag, has new competitors, with even longer beards and fiercer Islamist slogans, but with one difference: they are Sunni, not Shiite Muslims, and Lebanon has started to taste stronger, more assertive Salafi movements. 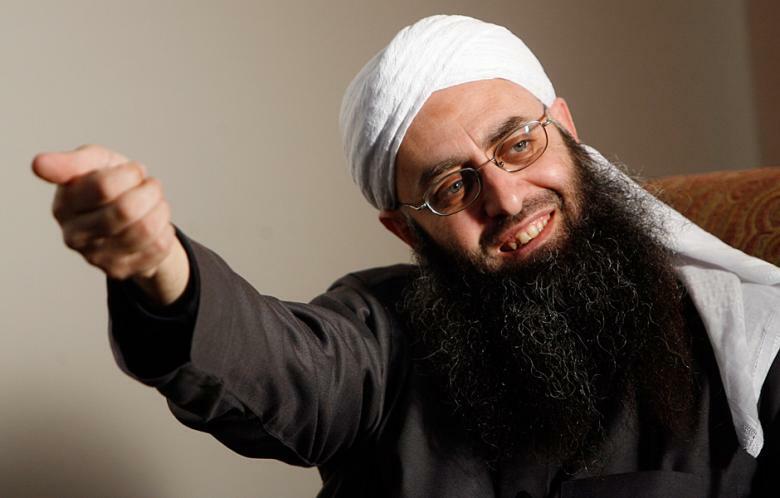 On Monday, the Lebanese Salafi cleric Sheik ahmed al-Assir, the Imam of Sidon’s Bilal bin Rabah Mosque, announced the creation of the Free Resistance Brigade, urging all who are capable of heading to Syria to go and aid “the oppressed” in Qusayr and Homs. Asir called on “all the Lebanese who fear attacks by Iran’s party (Hezbollah) in Lebanon to arm themselves and form secret cells in order to be ready to exclusively defend themselves and their families, should the need arise.” Asir is not alone; other sheiks like Sheik Salem Rafii have called for “Jihad” in kassir on the Lebanese-Syrian border, where the Shiite group, Hezbollah, is allegedly involved in fighting along the side of the Assad regime in Syria. Fighting Salafis is harder and trickier for Hezbollah for many reasons: For starters, the Shiite militia has gained most of its experience fighting a conventional Israeli army, with mostly hit-and-run tactics that aim to exploit the vulnerability of organized military units and inflict maximum damage and human causalities. It worked; Hezbollah operations forced Israel to withdraw from Lebanon in 2000 and to accept ceasefire in their war in 2006. However, Asir and his men are not Israel − his followers share many characteristics that Hezbollah offers his members: Jihad, resistance, paradise, and duty. The advantage of fighting a conventional army is gone, and now Hezbollah must accept the bitter truth that his men will face and, for the first time, other guerrilla groups that are equally determined and fearsome. They may not be equal in experience, but experience would be gained quickly within the battlefield. Not to mention that it will be harder for Hezbollah members to chant “Allah Akbar” while trying to kill others who are equally passionately chanting the same. Second, the Hezbollah’s desperate attempt to save the Assad regime in Syria has cost the group dearly on the political front but also on the military front. For years, Hezbollah has stored rockets of various sizes, threatening Israel; first Haifa and beyond, then later Tel Aviv and beyond. Those rockets have been rendered useless in the current fight in Syria. Rockets are not the weapons of choice for inter-guerilla war. Denying Hezbollah the advantage of psychological impact of urban shelling of Israeli towns is a big setback for the movement. Now, the shelling of Assad forces of civilian areas is something the group has to deny any involvement in. Third, the Shiite community that accepted martyrdom for its sons in the war against Israel may not necessarily accept the returned body bags from Syria; they may resent being dragged into someone else war. Although Hezbollah has portrayed the conflict in Syria as “the Western conspiracy against the resistance,” sooner or later, this slogan will do little to comfort bereaved Shiite families. Moreover, any ongoing fight with Salafi’s groups could result in revenge attacks on Shiite villages inside Lebanon, a risk that should not be under-estimated or dismissed. For years, Hezbollah has treated the moderate Sunni group, the future movement as an enemy. From the death of Rafiq Hariri in 2005 to the death of Wissam al-Hassan in 2012—regardless of who was really behind their murders—Hezbollah has done nothing to bridge the wide Sunni-Shiite gap in Lebanon. In fact, it is arguable that the weakening of the Future movement has helped to strengthen the radical Salafism in Lebanon. Its leader, Saad Hariri, who couldn’t even attend al-Hassan’s funeral, still lives in self-imposed exile in Paris and is unable to curb the influence of Asir or other Salafi sheiks who are mysteriously well-funded and under no obligation to listen to a westernized leader like Hariri. Even the patron of Hariri, Saudi Arabia, its hand is limited in curbing the huge business empire that funds Salafism in both Syria and Lebanon. Nasrallah’s shortsightedness on the internal front, and his stubborn insistence to support Assad may cost his group dearly. 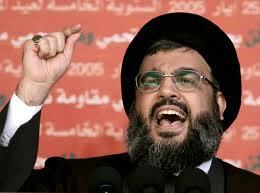 Now the genie is out of the bottle, the Lebanese Salafists are here to stay, and they should not be underestimated. The spillover from Syria may not necessarily lead to a full-blown civil war in Lebanon, but it would slowly undermine the already-fragile Lebanese state and damage Hezbollah’s internal interests. Welcome to Lebanon’s new war of the bearded enemies. This entry was posted in Lebanon, Politics and tagged Asir, Assir, Hezbollah, Lebanon, Nasrallah. Bookmark the permalink. Pray for Lebanon that the majority choose to not follow these two into what would be an even more bitter civil war that would leave the nation in tatters. Great post! Let’s hope for a better future for Lebanon. And this is something we will see growing all over Middle East. My beard… your beard… Damn, I luv to feel a Mossarab, not belonging to any of these retarded gangs.